Christina (18 December [O.S. 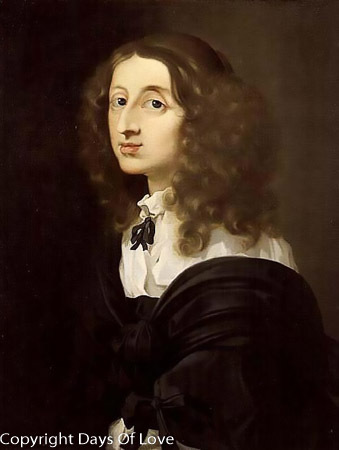 8 December] 1626 – 19 April 1689) reigned as Queen of Sweden from 1632 until her abdication in 1654. [note 1] She was the only surviving legitimate child of King Gustav II Adolph and his wife Maria Eleonora of Brandenburg. At the age of six, Christina succeeded her father on the throne upon his death at the Battle of Lützen, but began ruling when she reached the age of 18. At the age of 28, the "Minerva of the North" relinquished the throne to her cousin and moved to Rome. The Pope described Christina as "a queen without a realm, a Christian without faith, and a woman without shame." Notwithstanding all that, she became a leader of the theatrical and musical life and protected many Baroque artists, composers, and musicians. Being the guest of five consecutive popes, and a symbol of the Counter Reformation, she is one of the few women buried in the Vatican grotto. Her unconventional lifestyle and masculine dressing and behavior have been featured in countless novels, plays, operas, and film. In all the biographies about Christina, her gender and cultural identity play an important role.